Best Dog Training in Seattle! Welcome. My name is Ian Parker. It is not an exaggeration when I say that dogs are part of our families. Having spent my entire career in the Animal Health/Veterinary industry, I've seen first-hand how dogs are valued and loved. My passion has always been to solve problems -- specifically for veterinarians, pet owners, and pets. Throughout my career, I've had the opportunity to offer a number of products to veterinarians and their clients. Many of these products and services have been "game changers" for the health of pets. Knowing how these products have improved, and in many cases saved, pets' lives is tremendously rewarding. I bring this same passion to Bark Busters. My goal is to solve your problems with your dogs, and help you have a rewarding relationship. I look forward to working with you! I come to you! I do in home training because this is where your dog can focus best (in his own den) and where most problems occur. I train dog owners not dogs. Most of my training involves changes in you– teaching you about voice tones and body language so that you can "speak dog." You will see immediate results after our first lesson. Together we will develop a custom plan to meet your needs and to overcome your dog’s specific behavior problems. Bark Busters dog training works where other methods and classes have failed. 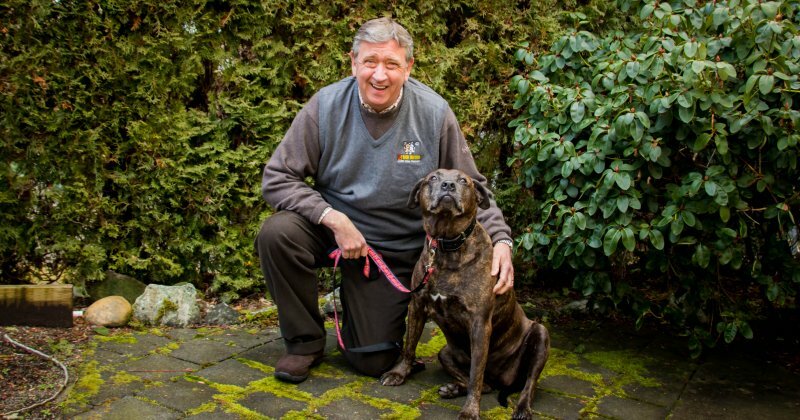 Whether you need mature dog training or puppy training, small dog training or large dog training, Bark Busters Seattle is here to help -- Any breed. Any issue. Any age. Take a step toward better communications with your dog today by calling Bark Busters Seattle for a no-obligation dog training consultation! And ask about our Life of the Dog Guarantee. We experienced immediate results with our puppy at five months old. And with two moms that have not had a puppy in quite some time, we realize there is a lot left for all of us to learn. We look forward to working with David Wiley to ensure a happy life for all of us!